I hadn’t really done a ‘Why Vanderbilt’ post before, and while this list keeps growing everyday, here are my 20 reasons (in no particular order) why YOU should be a part of Vanderbilt’s Class of 2020. 1. The Campus. A national arboretum, our campus is one of the most beautiful I have seen (totally unbiased opinion), and you can expect lots of greenery, and lots of squirrels. 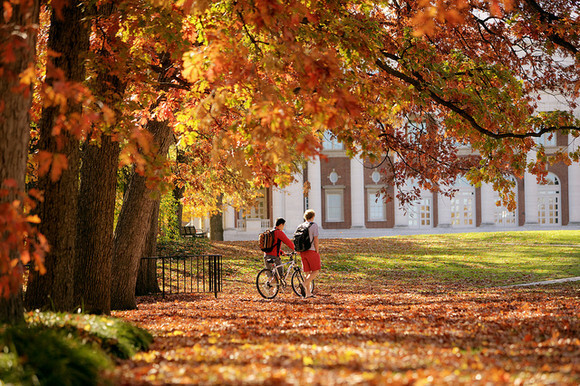 With beautiful buildings such as Kirkland (pictured below), Vanderbilt has an old world charm to it. Make your high school friends jealous with your Instagram pictures. 2. Balance. 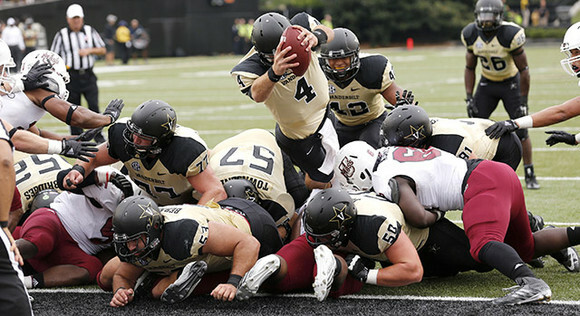 Vanderbilt’s unofficial motto is work hard, play hard. While we are a top 15 school with top notch academics, we are also passionate about student organizations, sports, Greek life, and social life. 3. Commons. 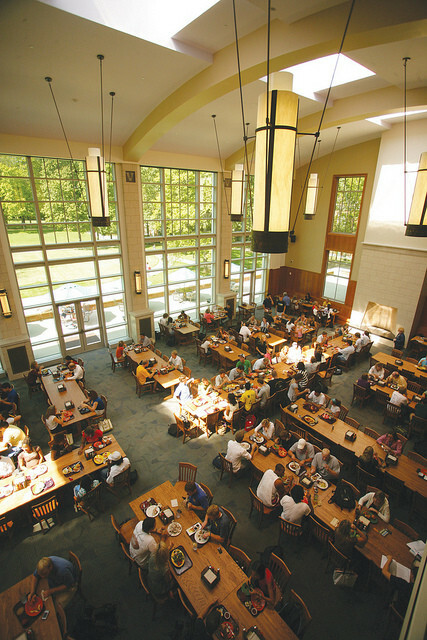 A living-learning community for first-years, Commons provides a sense of community that is hard to find elsewhere. It’s a great way to meet many new people, and bond with your faculty head of house. 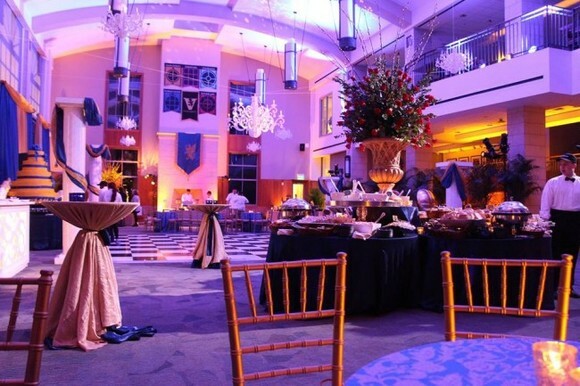 The year-end extravagant Commons Ball is an added bonus. 4. Food. There are so manyto choose from, and even as a vegetarian, I have never found it hard to find scrumptious food. We also have the Taste of Nashville program in which you can use your meal money to eat at different off-campus restaurants. 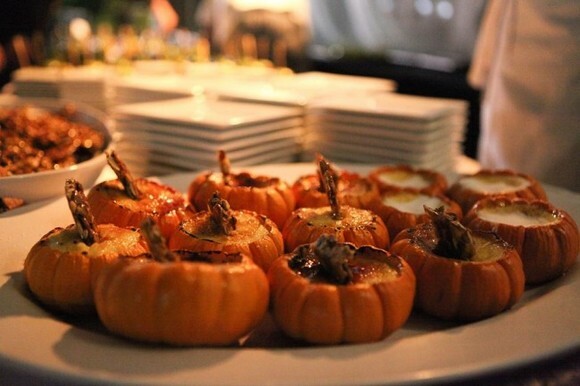 Campus Dining organizes many gourmet events as well. But be careful, freshman 15 is real. 5. Weather. The advantage of being located in the south is beautiful weather for the majority of the year. I didn’t think weather would be so important to my daily functioning in college, but it really is, and having Nashville’s beautiful sunshine and mild winters is a blessing. 6. Flexibility. My roommate is majoring in biology, and minoring in trombone performance. My friends have designed their own majors. There is so much flexibility in choosing your academic path, and Vanderbilt supports you every step of the way. Don’t like your current major? You can change it! Don’t know what you want to major in? You don’t have to decide until second semester sophomore year in Arts and Science! Want to be transfer from Engineering to Peabody? Sure you can! 7. Financial Aid. Vandy is expensive, no doubt, but it all boils down to your Expected Family Contribution (EFC). 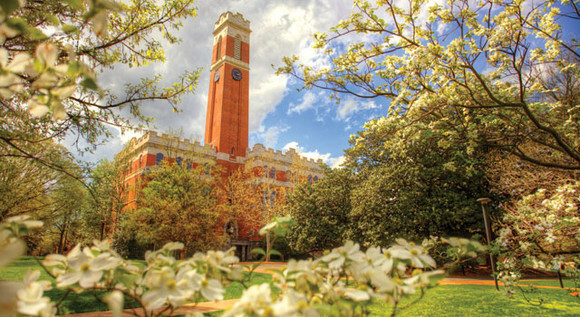 Vanderbilt has one of the most supportive financial aid programs, and it also offers merit scholarships too (don’t forget to apply for them!). I’m on the Cornelius Vanderbilt scholarship, and I’m so grateful to see how committed Vanderbilt is to provide opportunities to its students. 8. Student organizations. If you’re passionate about an activity, there’s a 98.7% chance that Vanderbilt has a student organization dedicated to it. We have over 500 student clubs, and if you don’t find what you’re looking for, you can even start your own club! From Vandy Apps to Investment Club, from Debate Club to Bhangradores, there are hundreds of ways to get involved on campus. 9. Size. With around 1600 students in each year, Vanderbilt is neither too big nor too small. It’s easy to keep running into friends from last semester, while forming new friendships too. You don’t get lost in a crowd, but you also don’t feel like you’re seeing the same people all the time. 10. Professors. Vanderbilt’s professors go above and beyond to meet your academic needs, and even in big lecture halls, all my professors knew me personally. Commons, and other living-learning communities have a faculty head of house who lives with students, mentoring them every step of the way. Your faculty VUceptor is also a great resource to have, especially in your first semester. Last semester, I grew very close to my faculty VUceptor, Dean Wcislo, and his mentorship helped me adjust to Vanderbilt quickly.This semester, I didn’t have any special plans for Halloween, so one of my professors treated me to a horror video art show. This is what makes Vandy special. 11. Visions. This weekly program in your first semester helps you in your transition from high school to Vanderbilt, and befriend 17 other first-years. It also helps you use an upperclassman and a faculty member (VUceptors) as resources. In fact, I still keep in touch with my VUceptors, much after Visions ended. I don’t know how many colleges have such a supportive and regular program like Visions. 12. Sports. We’re in the SEC, and we take great pride in our sports. With a women’s tennis national championship this year and an NCAA men’s baseball championship last year, we are much more than a football school, but we love to tailgate and cheer on our ‘Dores at every game!